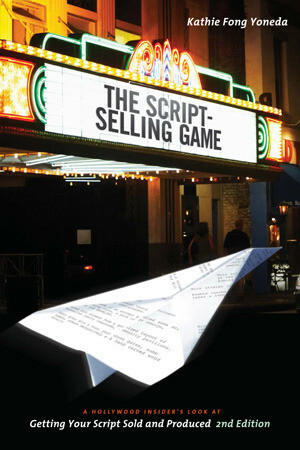 The Script-Selling Game is about what they never taught you in film school. This is a look at screenwriting from the other side of the desk - from a buyer who wants to give writers the guidance and advice that will help them to not only elevate their craft but to also provide them with the down-in-the-trenches information of what is expected of them in the script selling marketplace. It's like have a mentor in the business who answers your questions and provides you with not only valuable information, but real-life examples on how to maneuver your way through the Hollywood labyrinth. While the first edition focused mostly on film and television movies, the second edition includes a new chapter on animation and another on utilizing the internet to market yourself and find new opportunities, plus an expansive section on submitting for television and cable. Kathie Fong Yoneda has worked in film and television for more than 30 years. She has held executive positions at Disney, Touchstone, Disney TV Animation, Paramount Pictures Television, and Island Pictures, specializing in development and story analysis of both live-action and animation projects. Kathie is an internationally known seminar leader on screenwriting and development and has conducted workshops in France, Germany, Austria, Spain, Ireland, Great Britain, Australia, Indonesia, Thailand, Singapore, and throughout the U.S. and Canada.